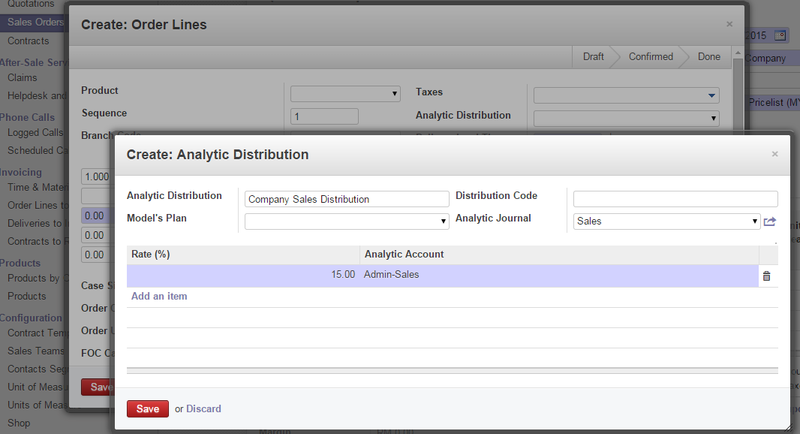 For Analytic Accounts entries , it basically can be captured in many different area , but for sake of concept capturing , i will only use 2 most interested area , that is from the Purchase and Sales (FYI , other area such is Timesheet for HR , Project Costing are possible ) once you got the idea , u can implement this yourself. step 1. Decide to have analyse which department(s) , e.g. QC , Admin , Production , Sales. and for the rest of department . You can also create different Journal for grouping of all the transactions , e.g. Analytic Sales Journal , Analytic Purchase journal etc. Step 5. 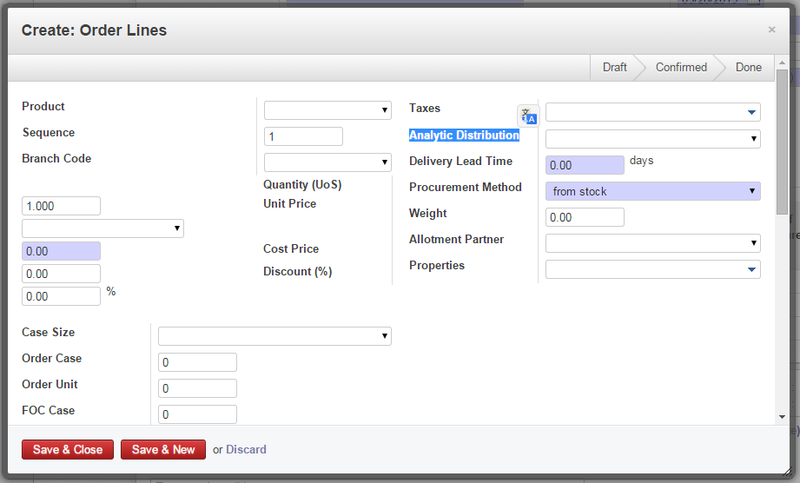 (Capturing Sales) then when you make any sales or purchase , at the lines of selecting each product , you can select your Analytic Plan , which i hv given an example, select the "Analytic Sales Plan" , then when you CONFIRM the Sales Order , the ERP will post these value for each order lines and split the sale value into the percentage allocated for each department into the Analytic Chart of Account. Step 6. (Capturing Purchase) , when you make any purchase entries , at the lines of selecting the product , you do the same but this time you select the Analytic Purchase Plan that you have setup. so u can easily browse and view the gross profit of each department easily once we have made any Sales and Purchase. ok , hope you Malaysia Boleh ! Happy Odooing !! !